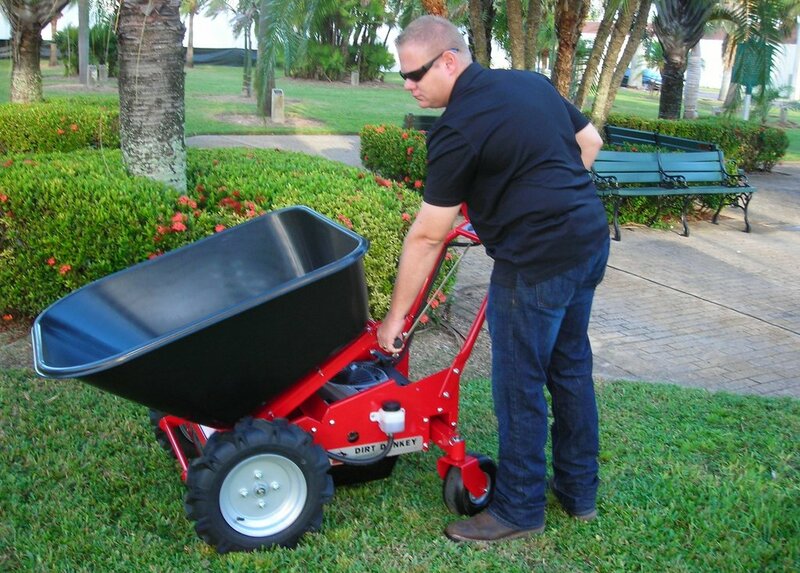 The Dirt Donkey is a compact and easy to operated self-propelled wheel barrow with hydrostatic transmission. 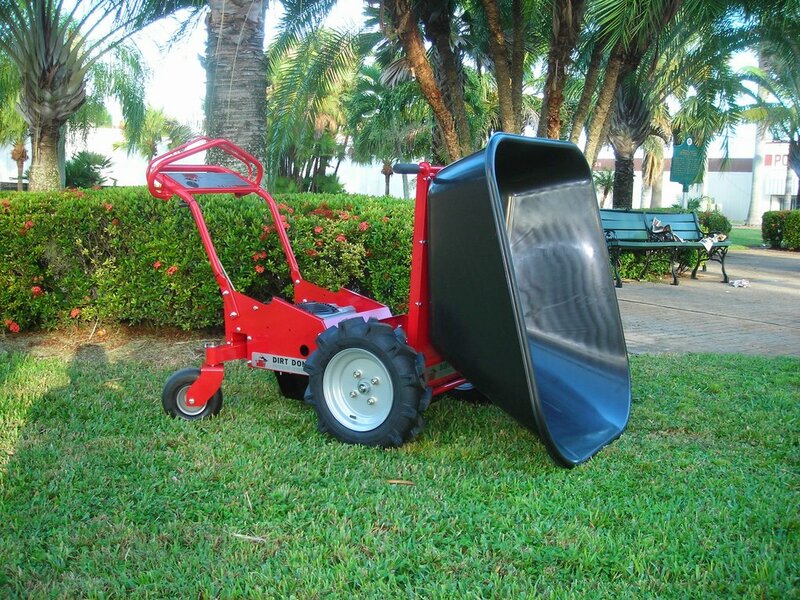 The Dirt Donkey is designed for transporting heavy loads over rough terrain. The Dirt Donkey easily carries loads up to 500 lbs. When you have tough jobs that require transporting heavy loads over rough terrain, you need a tool that’s as stubborn as the work at hand. 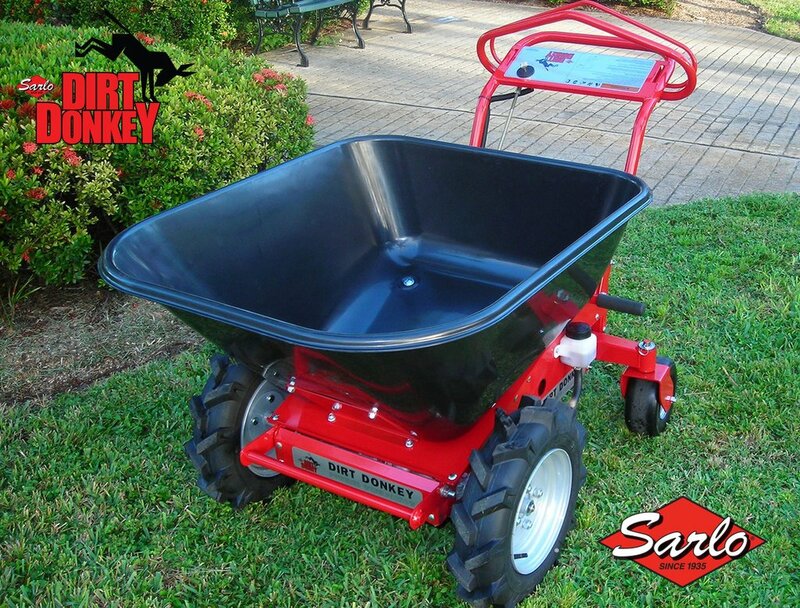 Get the Dirt Donkey™ Hydro powered wheelbarrow from Sarlo. 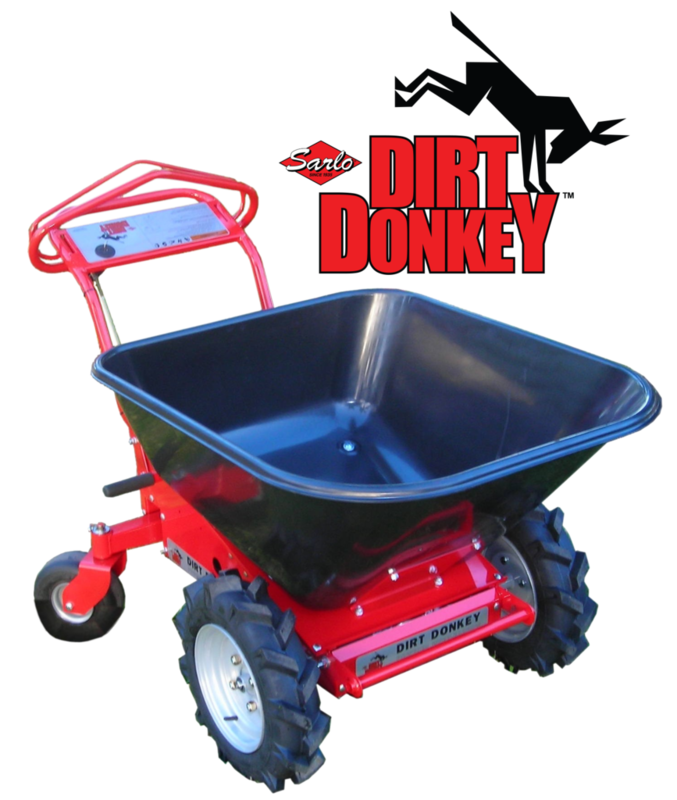 Equipped with a powerful 190cc Professional Series engine and hydrostatic transmission, the Dirt Donkey is designed to provide virtually effortless operation while easily carrying loads up to 500 Lbs. The Dirt Donkey’s wide, stable 4-point stance and large drive tires enable you to move and dispose of extremely heavy and awkward loads with ease.